The metric system of units happens to be accepted universally as one of the standard ways of measuring weight, height, length, distance and other parameters. Yet, there might arise situations where one has to convert between the various units to get accurate results. Carrying out such calculations mentally can be taxing and may yield inaccurate results. 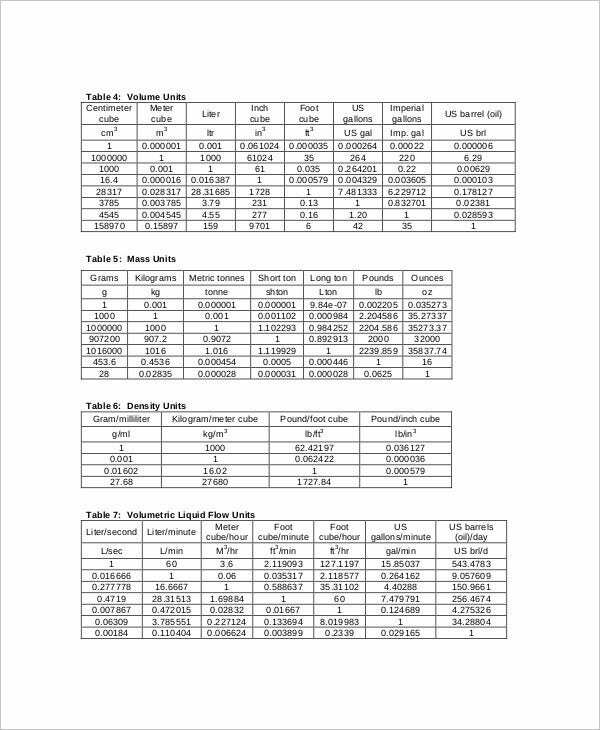 Instead, you can just use the Metric Conversion Chart Templates to carry out such calculations. It would certainly reduce your hassle. 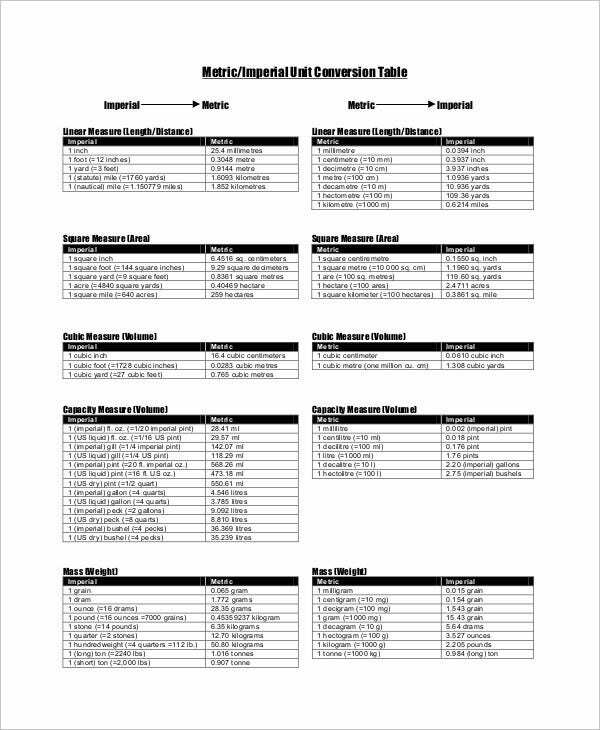 This standard metric unit conversion Chart Templates comes with all the universally accepted standard units and allows for conversions between them. The conversion chart is pretty easy to use as well. 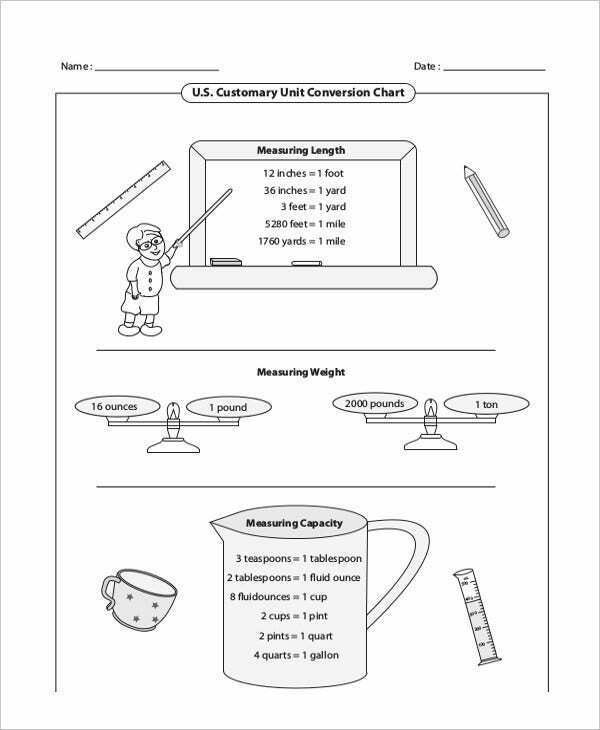 This metric and customary conversion chart may be used by anyone who has to convert between the various units of the metric or customary system. Also, the charts are very easy to use. This metric unit of weight conversion chart allows you to convert between the different units of weight like kilogram, gram, milligram, ton and so on. All these calculations become easier with the chart. 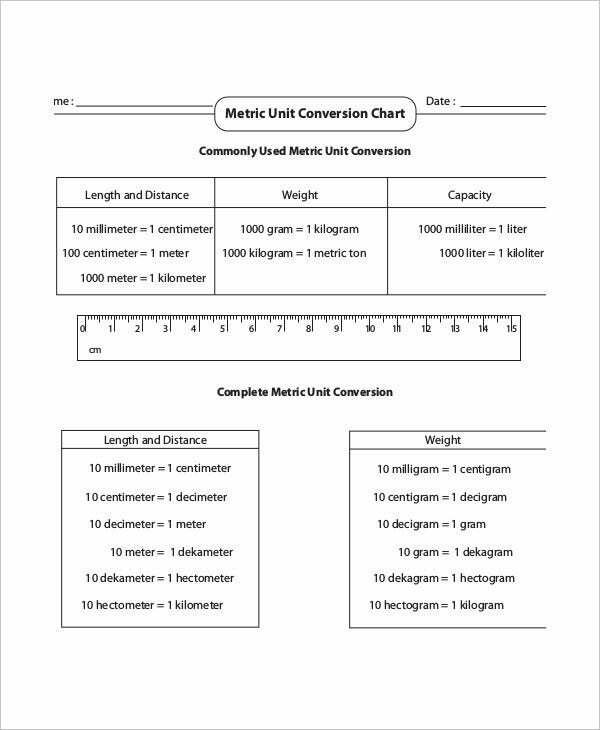 If you have the amount to be converted and the desired unit of conversion ready, then you can use the metric system unit conversion chart to carry out elongated and complicated calculations. If you have a number of metric unit conversions to carry out, then excel is your best shot. Organizing your data in the form of neat rows and columns will help you in the long run. 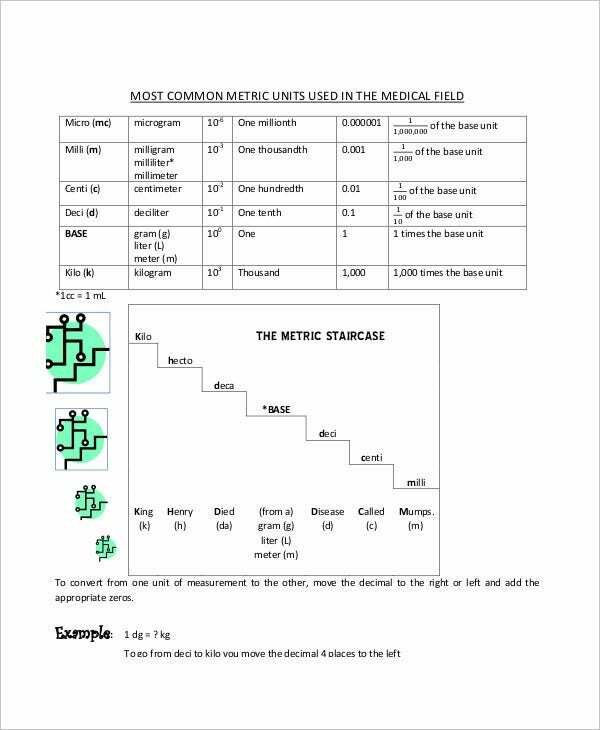 You can also see Metric System Conversion Chart Templates. > Why Should you use Metric Conversion Charts? 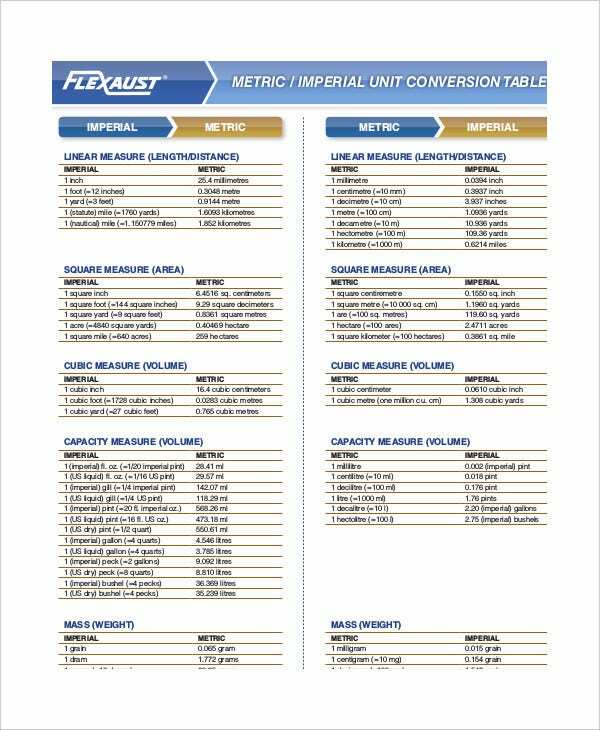 A metric conversion chart has been designed specifically to carry out any kind of conversions related to the International System of Units or the metric systems. Most of us only know the commonly used units and are often at a loss when it comes to the rarely used yet important units. In such cases, the metric conversion charts can be of great help. The charts would allow you to carry out as many calculations as you want, in no time. 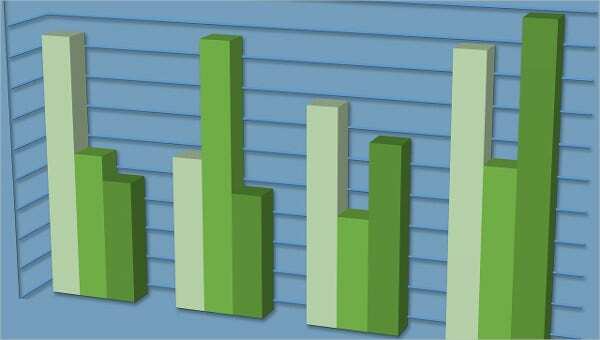 Most importantly, the charts are versatile in nature in the sense that you can carry out conversions or weight, length or other parameters as well. > What are the Benefits of the Metric Conversion Charts? The metric conversion charts here come with all the different kinds of units. Thus, you just have to insert your amount and the desired unit in the respective columns or spaces provided to complete the conversion. The metric conversion charts come in easy to use formats. Professionals have designed it in such a manner that even young kids would find these easy to use and handy. The charts usually come in excel format which is your best option for calculations of any kind. You can also see Simple Metric Conversion Chart Templates. 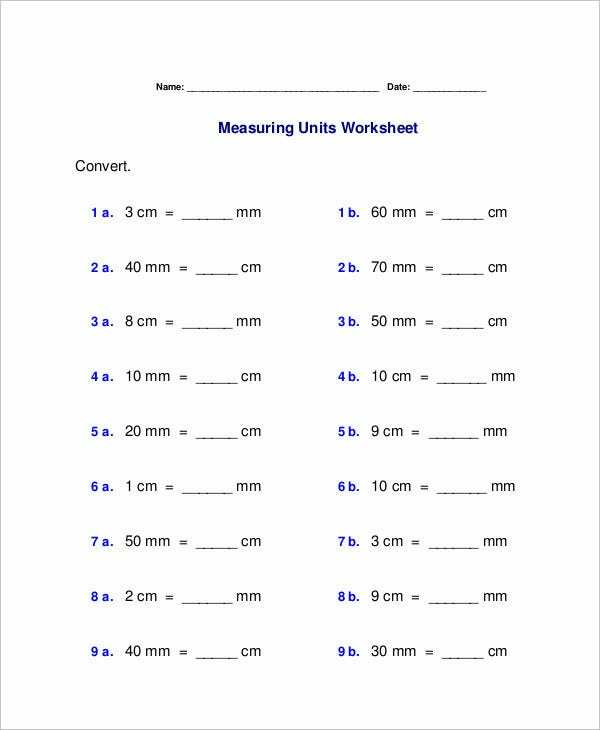 Metric unit conversion charts can make your lives a hundred times easier for you. If you have to carry out complicated conversions and mathematical calculations on a regular basis, you can do so with the help of these charts. Plus, the metric conversion charts have been kept easy to use for your benefit.